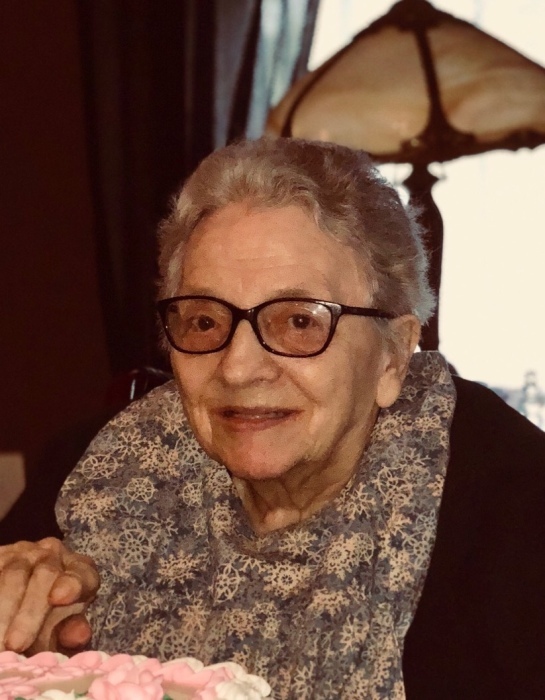 Florence M (Cedrone) Salvucci of Newtonville, died at her home on Jan 19, 2019. A lifelong resident of Newton, Florence was know as “Mrs. Sal” as she worked as a lunch monitor at the Horace Mann school for many years. She was the beloved wife of the late Anthony “Red” Salvucci and loving mother of Judith Ann Salvucci of Newtonville. She is survived by her brother Larry Cedrone and his wife Barbara and their daughter Jennifer and many nieces, nephews, grandnieces and nephews. She was the daughter of the late Orazio and Carmella Cedrone. Her funeral will be from the Eaton & Mackay Funeral Home 465 Centre St. Newton Corner on Thurs Jan 24 at 9:30 AM followed by her Mass of Christian Burial in Our Lady Help of Christians Church at 10:30 AM. Visiting hours Wed 1-6 PM. Interment Calvary Cemetery Waltham. Donations in her name may be made to the Alzheimer’s Assoc. 309 Waverley Oaks Rd., Waltham MA 02452.